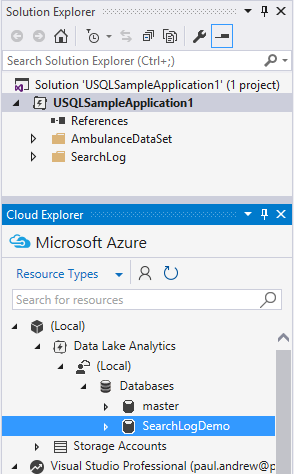 When creating an Azure Data Factory (ADF) solution you’ll quickly find that currently it’s connectors are pretty limited to just other Azure services and the T within ETL (Extract, Transform, Load) is completely missing altogether. In these situations where other functionality is required we need to rely on the extensibility of Custom Activities. 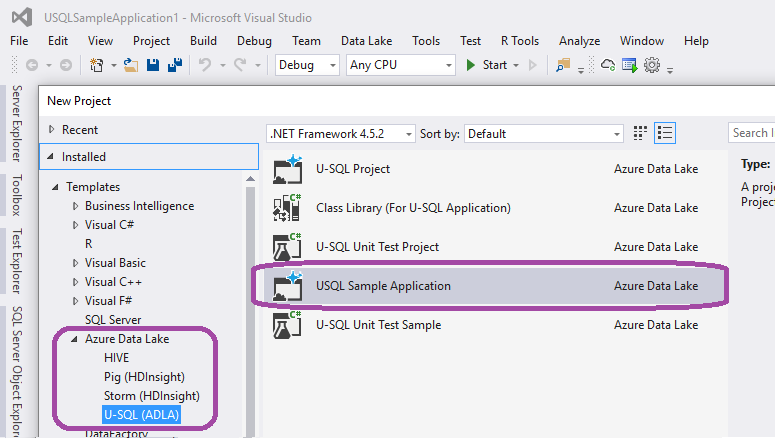 A Custom Activity allows the use of .Net programming within your ADF pipeline. However, getting such an activity setup can be tricky and requires a fair bit of messing about. 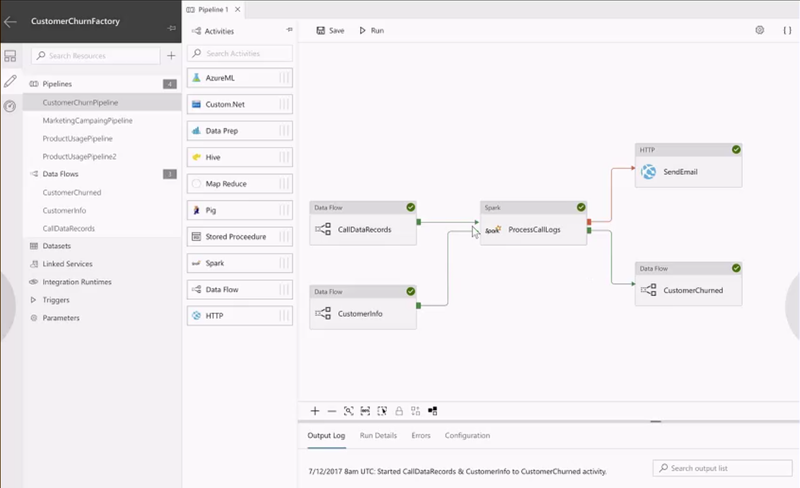 In this post a hope to get you started with all the basic plumbing needed to use the ADF Custom Activity component. 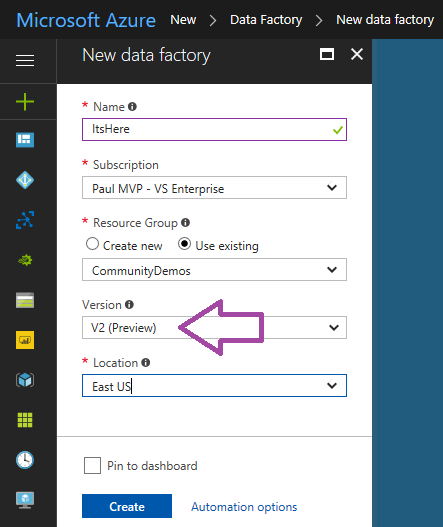 Firstly, we need to get the Azure Data Factory tools for Visual Studio, available via the below link. This makes the process of developing custom activities and ADF pipelines a little bit easier. Compared to doing all the development work in the Azure portal. But be warned, because this stuff is still fairly new there are some pain points/quirks to overcome which I’ll point out. Once you have this extension available in Visual Studio create yourself a new solution with 2x projects. 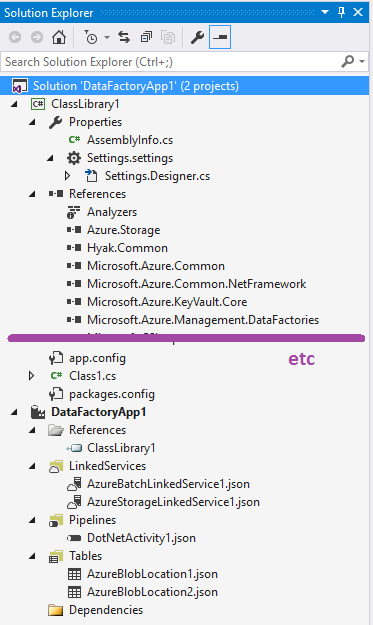 Data Factory and a C# Class Library. You can of course use VB if you prefer. Azure Batch Service (ABS) – this acts as the compute for your C# called by the ADF custom activity. The ABS is a strange service which you’ll find when you spin one up. Under the hood it’s basically a virtual machine requiring CPU, RAM and an Operating System. Which you have to choose when deploying it (Windows or Linux available). But none of the graphical interface is available to use in a typical way, no RDP access to the Windows server below. Instead you give the service a compute Pool, where you need to assign CPU cores. The pool in turn has Tasks created in it by the calling services. Sadly because ADF is just for orchestration we need this virtual machine style glue and compute layer to handle our compiled C#. Azure Storage Account (ASC) – this is required to house your compiled C# in it’s binary .DLL form. A s you’ll see further down this actually gets zipped up as well with all it’s supporting packages. It would be nice if the ABS allowed access to the OS storage for this, but no such luck I’m afraid. At this point, if your doing this for the first time you’ll probably be thinking the same as me… Why on earth do I need all this extra engineering? What are these additional services going to cost? And, why can I not simply inline my C# in the ADF JSON pipeline and get it to handle the execution? Well, I have voiced these very questions to the Microsoft Azure Research team and the Microsoft Tiger Team. The only rational answer is to keep ADF as a dum orchestrator that simply runs other services. Which is fine if it didn’t need this extensibility to do such simple things. This then leads into the argument about ADF being designed for data transformation. Should it just be for E and L, not T? Let’s bottle up these frustrations for another day before this blog post turns into a rant! First in your class project lets add the NuGet packages and references you’ll need for the library project to work with ADF. Using the Package Manager Console (Visual Studio > Tools > NuGet Package Manager > Package Manager Console) run the following installation lines to add all your required references. Next the fun bit. Whatever class name you decide to use it will need to inherit from IDotNetActivity which is the interface used at runtime by ADF. Then within the your new class you need to create an IDictionary method called Execute. It is this method that will be ran by the ABS when called from ADF. Within the IDictionary method. 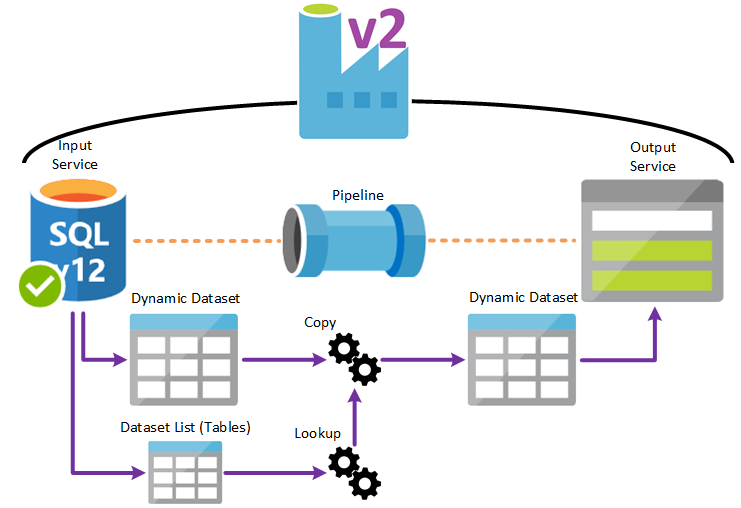 Extended properties and details about the datasets and services on each side of the custom activity pipeline can be accessed. Here is the minimum of what you’ll need to connect the dots between ADF and your C#. How you use the declared datasets will greatly depend on the linked services you have in and out of the pipeline. You’ll notice that I’ve also called the IActivityLogger using the write method to make user log entries. I’ll show you where this gets written to later from the Azure portal. I appreciate that the above code block isn’t actually doing anything and that it’s probably just raised another load of questions. Patience, more blog posts are coming! Depending on what other Azure services you want your C# class to use next we’ll have to think about registering it as an Azure app so the compiled program can authenticate against other components. Sorry, but that’s for another time. 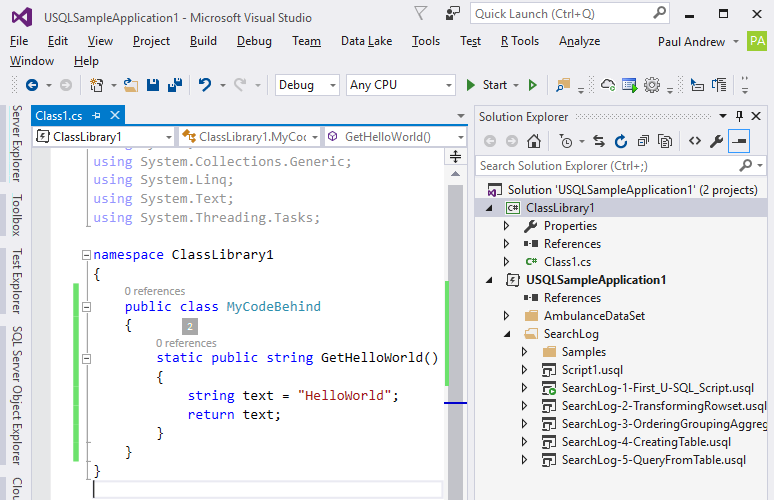 The last and most important thing to do here is add a reference to the C# class library in your ADF project. This is critical for a smooth deployment of the solution and complied C#. 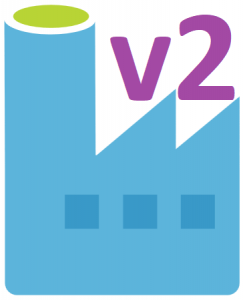 Within your new or existing ADF project you’ll need to add a couple of things, specifically for the custom activity. I’m going to assume you have some datasets/data tables defined for the pipeline input and output. 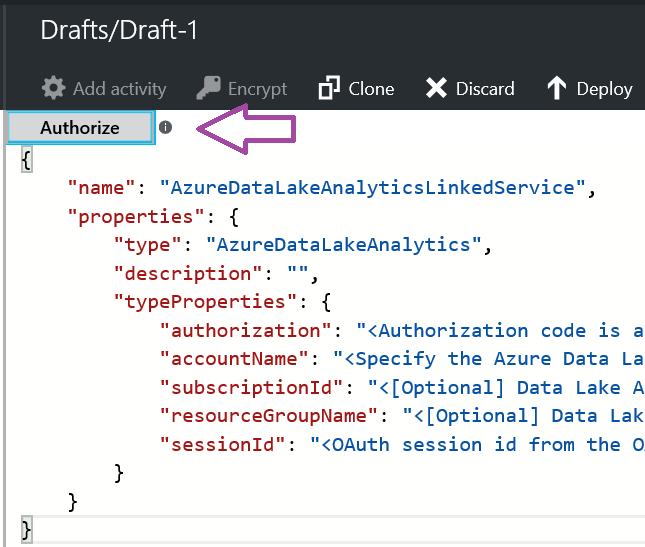 Azure Batch Linked Service – I would like to say that when presented with the JSON template for the ABS that filling in the gaps is pretty intuitive for even the most none technical peeps amongst us. However the names and descriptions are wrong within the typeProperties component! Here’s my version below with the corrections and elaborations on the standard Visual Studio template. Please extend your sympathies for the pain it took me to figure out where the values don’t match the attribute tags! //Fine - get it from the portal, under service properties. //Fine -  get it from the portal, under service properties. //that you defined when you deployed the service. //Using the Pool Name will error during deployment. //With the full URI you'll get a message that the service can't be found! "linkedServiceName": "<Specify associated storage linked service reference here>"
//account name from the portal. 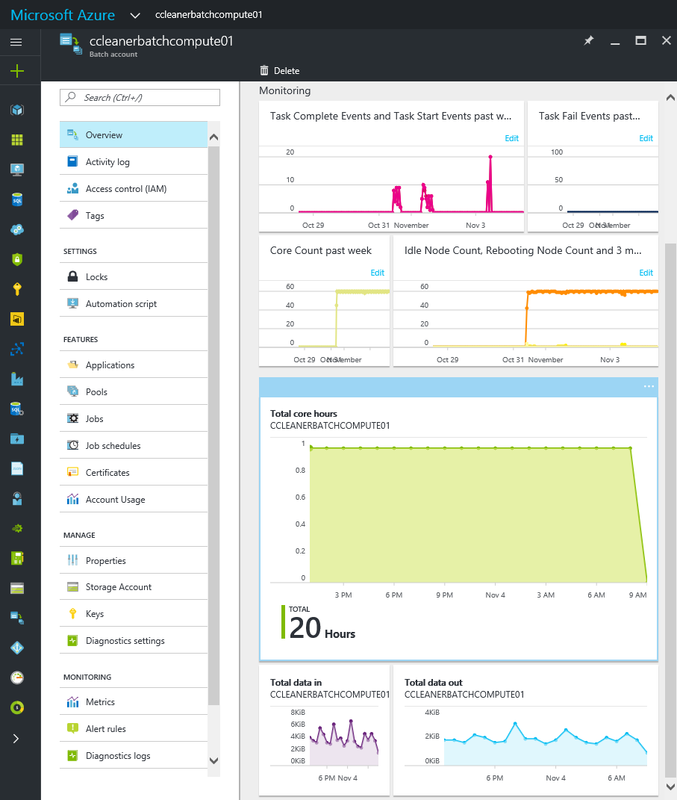 Azure Storage Linked Service – the JSON template here is ok to trust. 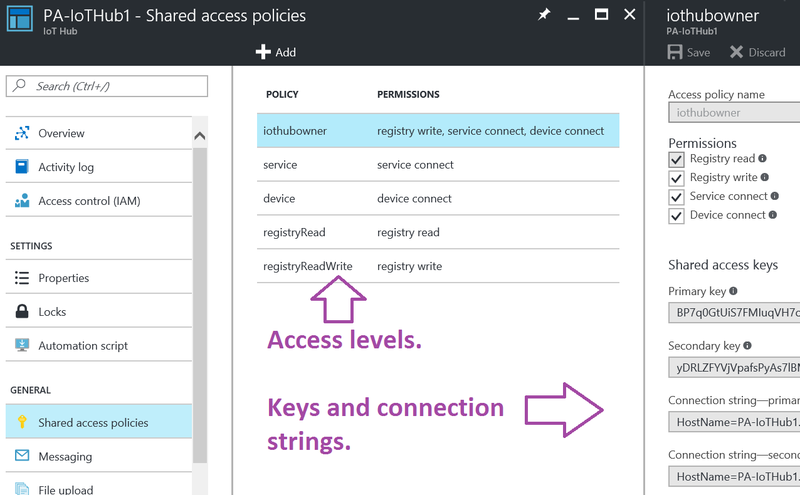 It only requires the connection string for your blob store which can be retrieved from the Azure Portal and inserted in full. Nice simple authentication. Once we have the linked services in place lets add the pipeline. Its worth noting that by pipeline I mean the ADF component that houses our activities. A pipeline is not the entire ADF end to end solution in this context. Many people do use it as a broad term for all ADF things incorrectly. Dot Net Activity – here we need to give ADF all the bits it needs to go away and execute our C#. Which is again defined in the typeProperties. Below is a JSON snippet of just the typeProperties block that I’ve commented on to go into more detail about each attribute. //from the project default. You might override this to be the CS filename though so be careful. //Just to the clear. Your storage account linked service name. "packageFile": "<Location and name of the zip file that was uploaded to the Azure blob storage e.g: customactivitycontainer/MyDotNetActivity.zip>"
//as the DDL file name. Don't worry about where the ZIP files gets created just yet. By now you should have a solution that looks something like the solution explorer panel on the right. In mine I’ve kept all the default naming conventions for ease of understanding. If you have all the glue in place you can now right click on your ADF project and select Publish. 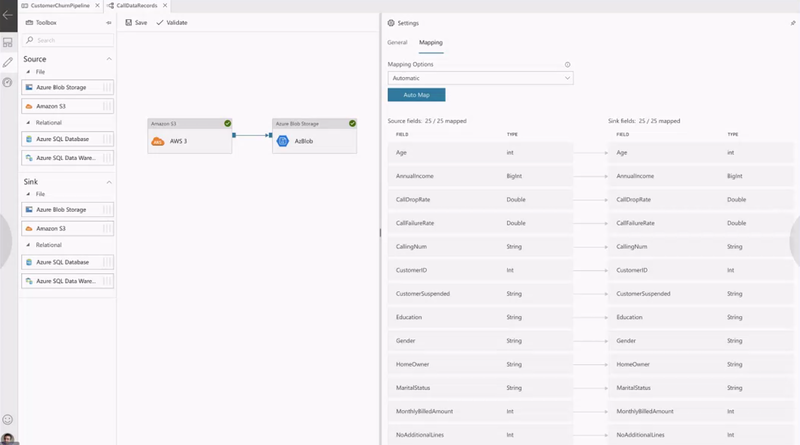 This launches a wizard which takes you through the deployment process. Again I’ve made an assumption here that you are logged into Visual Studio with the correct credentials for your Azure subscription. The wizard will guide you through where the ADF project is going to be deployed, it will also validate the JSON content before sending it up and it will also detect if files in the target ADF service can be deleted. With the reference in place to the C# class library the deployment wizard will detect the project dependency and zip up the compiled DLLs from your bin folder and upload them into the blob storage linked service referenced in the activity pipeline. Sadly there is no local testing available for this lot and we just have to develop by trial/deploy/run and error. 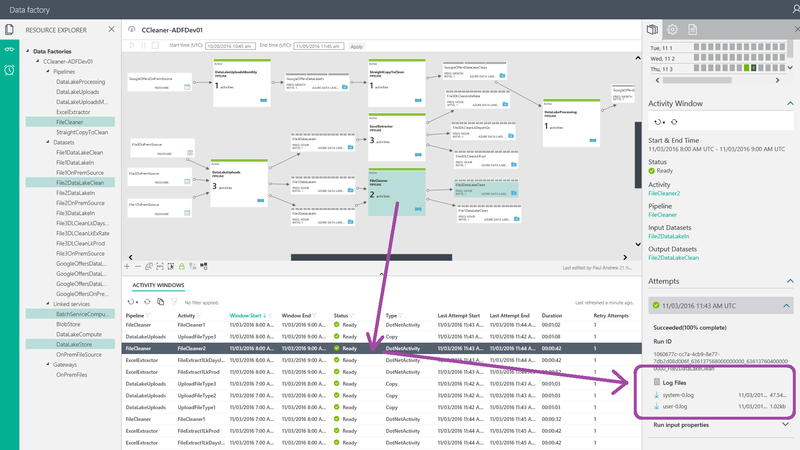 To help with debugging from the portal if you go to the ADF Monitor & Manage area you should have your pipeline displayed. Clicking on the custom activity block will reveal the log files in the right hand panel. The first is the default system stack trace and the other is anything written out by the C# logger.Write call(s). These will become your new best friend when trying to figure out what isn’t working. Of course you don’t need to perform a full publish of the ADF project every time if your only developing the C# code. 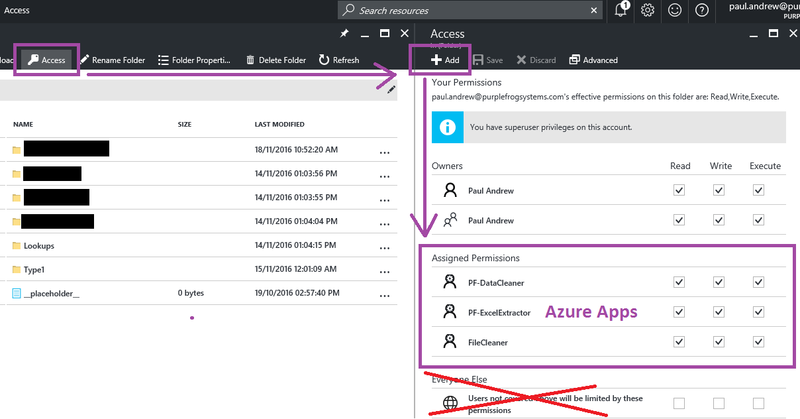 Simply build the solution and upload a new ZIP file to your blob storage account using something like Microsoft Azure Storage Explorer. Then rerun the time slice for the output dataset. If nothing appears to be happening you may also want to check on your ABS to ensure tasks are being created from ADF. If you haven’t assigned the compute pool any CPU cores it will just sit there and your ADF pipeline activity will time out with no errors and no clues as to what might have gone wrong. Trust me, I’ve been there too. 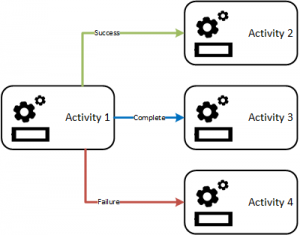 I hope this post was helpful and gave you a steer as to the requirements for extending your existing ADF solutions with .Net activity. We now had the ability to collect and handle more sensor data than we’d ever before possibly conceived. These sensors and there data will/are going to change the very way we live… Not convinced by this one? Talk to anybody that has a Fitbit attached to their wrist about how many steps they do each day! More relevant to this article. The procedural tools we know and love like T-SQL and PowerShell are no longer going to be enough to deliver these new world real-time data requirements. For procedural people already working with Microsoft products this learning and development can be fairly nice and sometimes even natural. However I expect people already involved in hard-core OOP software development and not very procedural this might seem a little backwards or just very obvious. Just a speculation at this point. At the moment I’m the former and if your reading this I hope you are too. So why do we need OOP for our data? What’s your point Paul? Assuming you are familiar with a little UWP dev lets continue and dive straight into the first problem you’ll encounter, or may have already encountered. In reverse order to my article title I know, but threading is basically the issue that we first need to work around when developing an IoT application. The UWP framework is great and very flexible however it only offers a cut down version of the full fat .Net library (at present). 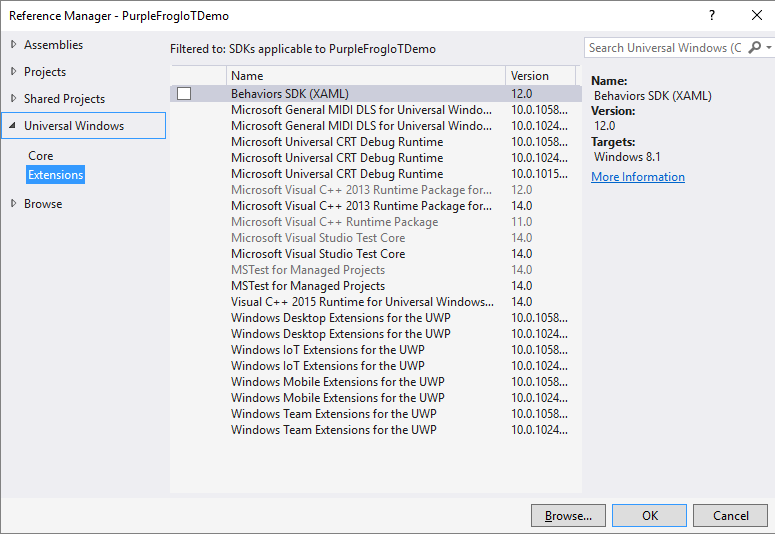 Or to be more accurate when working with a UWP solution the number of SDK’s available in your references will be very limited compared to what you might normally see. This limit includes the well known System.Threading and classes like the following example from MSDN. Threading is simply not available on the Universal Windows Platform. Enter our new friends async and await tasks or asynchronous programming. These two fundamental bits of functionality have to happen asynchronously. We can’t be waiting around to send messages because we are working on what has just been received. To handle this we need something like the following example at the core of our UWP app. Now both send and receive can occur without any blocking behaviour. 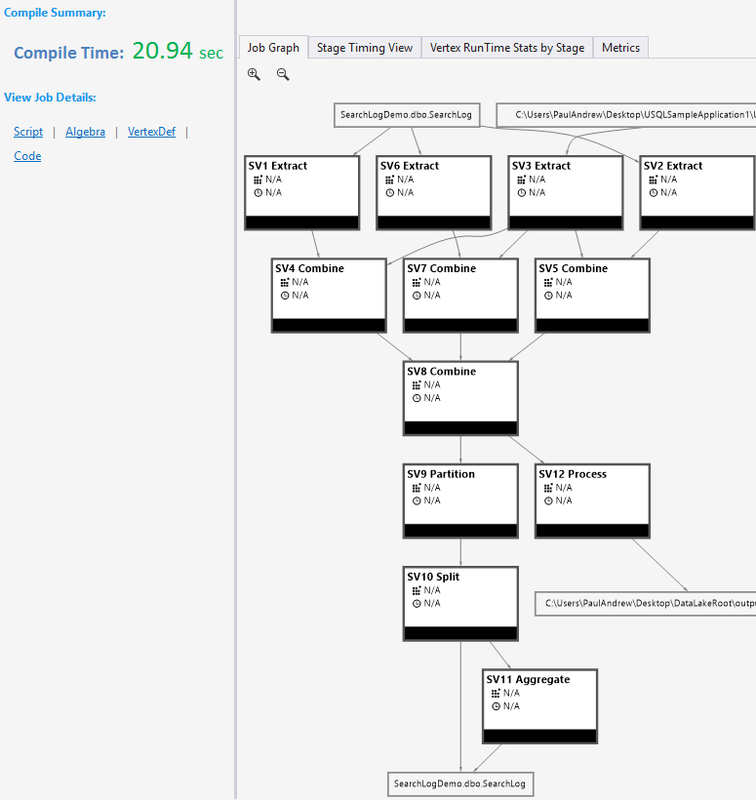 Lastly lets think about tickers created using something like DispatcherTimer(). The good old fashioned clock cycle if you prefer. We might need a ticker to cycle/iterate over a block of code that is doing something with our IoT sensors. For example if you wanted to collect a temperature reading every 10 seconds. Using an async task with a ticker would be the way to achieve that. For example. I do hope this high level article has been of some use. I will attempt to follow up with a more deep dive look at the above once I’ve slept on the concepts and forced myself to leave the beloved SQL behind for another couple of weeks while we voyage every further into the Internet of Things!